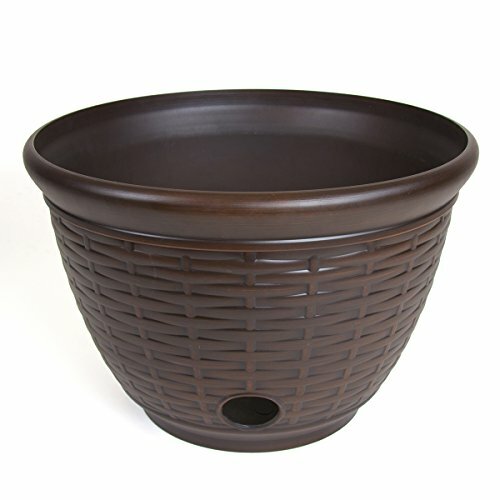 Liberty Garden Products 1920 Basketweave Bronze High Density Resin Hose Pot is the newest addition to the watering category. Constructed of highly durable resin material which ensures a long product life. This pot holds up to 100-feet of 5/8-inch garden hose (hose not included). The antique bronze color will compliment most outdoor decor. This durable pot is rust resistant and features a drainage hole at the bottom. If you have any questions about this product by Liberty Garden Products, contact us by completing and submitting the form below. If you are looking for a specif part number, please include it with your message.